Step 1. Cut and fringe small squares of hessian and glue onto a circle base. Step 2. Decorate the wreath with pine cones and cut corrugated cardboard into the shape of stars. Step 3. 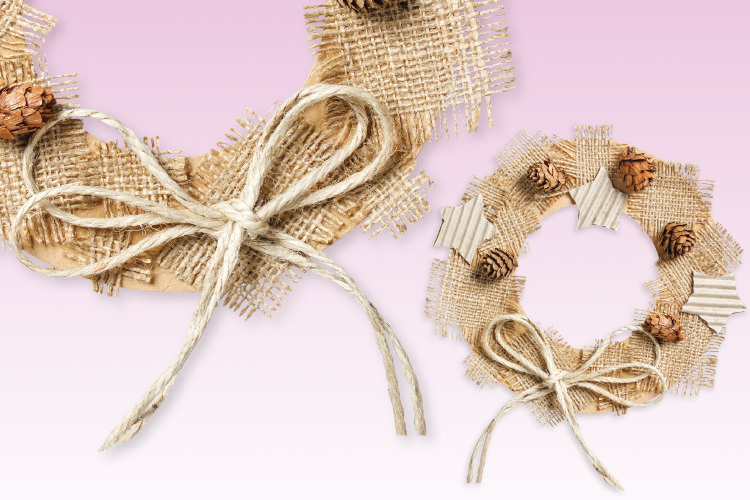 Use jute to make a loop to hang the wreath and to create a bow.